Consider this the "TRONcore" to a photo I posted a year and a half ago. Using a long exposure to get light streaks is definitely pretty fun, and Radiator Springs Racers pretty much enables this by default at night. It's also pretty cool to see the monumental Cadillac Range rising up behind this exciting scene. This is just one of an endless number of wonderful angles I can pick out at Cars Land. 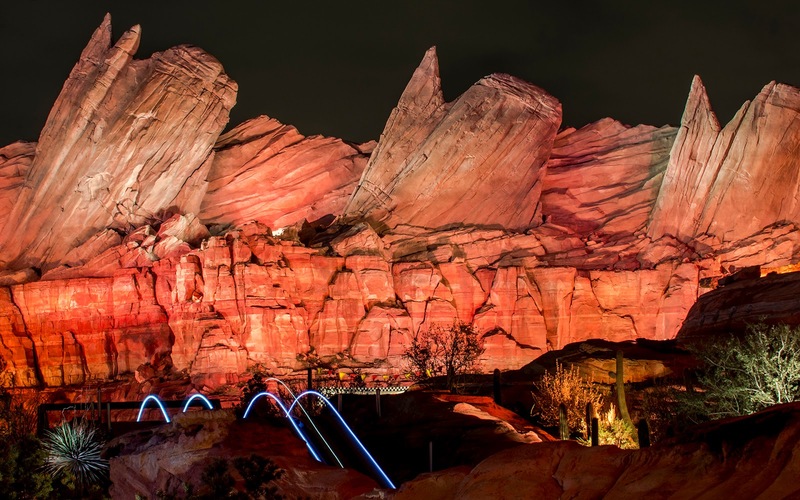 Radiator Springs Racers hurtles over the hills at night.